Mesh Panel Fencing - Northampton Security Fencing Ltd - All perimeter fencing supplied and installed. 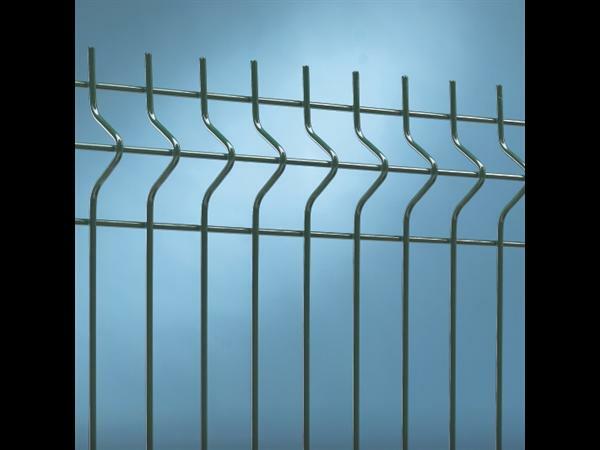 Nylofor® 3-M - A cost effective solution for long runs of security fencing. Panel width 3000mm Mesh size aperture 200 x 50mm max. 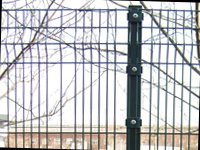 Nylofor® 3D - An ideal solution for most types of low to medium security fence applications. 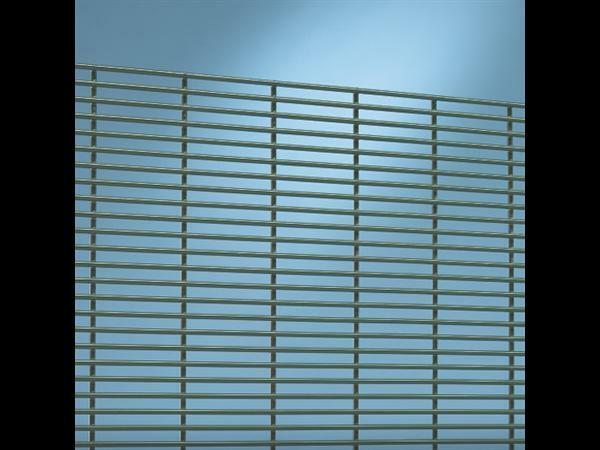 Roll Top - A welded mesh panel fence that has a rolled top and bottom edge for enhanced safety and rigidity. 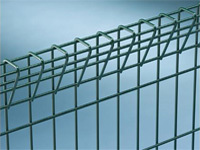 NSF FX Mesh - The system benefits from variable spacings and three horizontal profiles which makes it extremely rigid and difficult to climb. Its unobtrusive design and good see-through visibility makes FX Mesh a popular system. Panel height 1.8m, 2.0m & 2.4m. Mesh aperture (v x h) 200 x 50mm max. 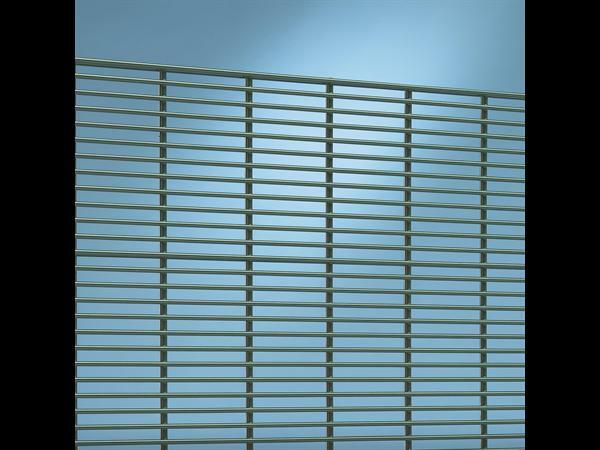 Nylofor® 2D - Weldmesh panel featuring twin horizontal wires to give high rigidity and resistance to cutting. 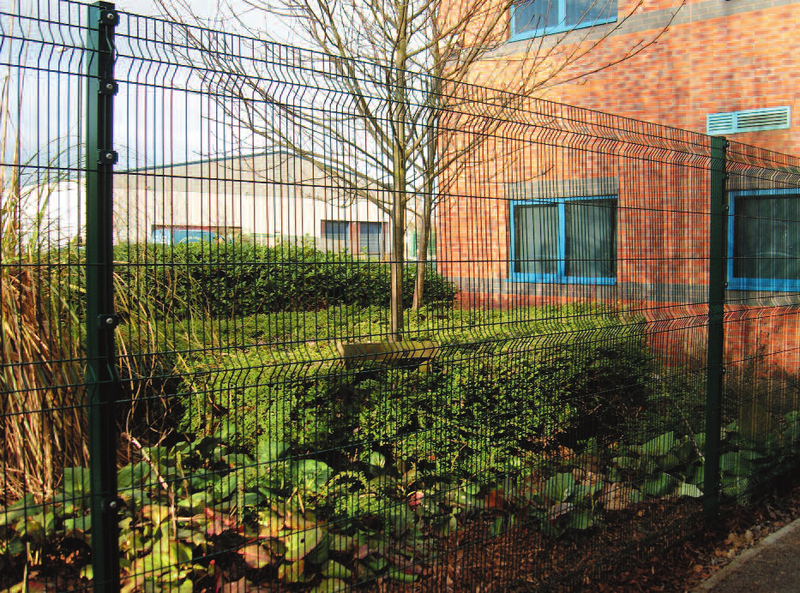 Securifor® 3D - Welded mesh panel fence incorporating a pressed ‘V-beam’ that combines an anti-climb and anti-cut fence with excellent through visibility and resistance to vandalism. 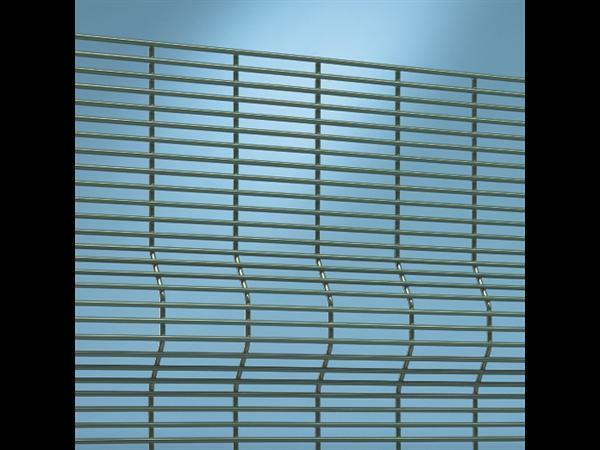 Securifor® 2D Varimesh - Welded mesh panel fence that is anti-climb and anti-cut and combines increased vertical wire diameter and double horizontal wires for maximum strength and security. 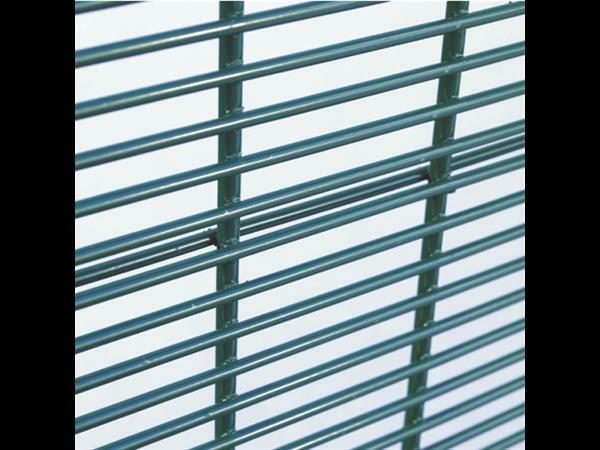 Securifor® 358 - Welded mesh panel fence that is a high security anti-climb and anti-cut fence with excellent through visibility and resistance to vandalism. 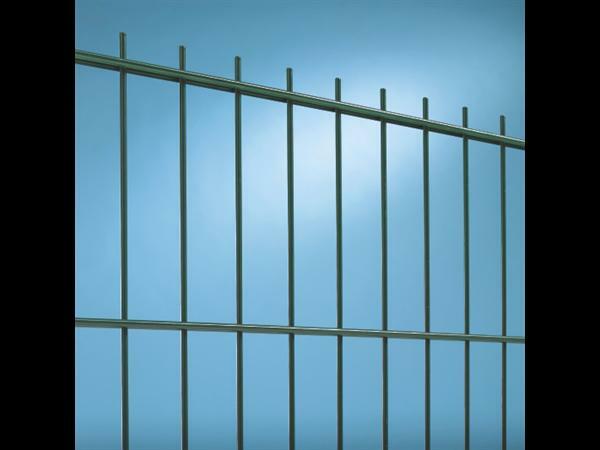 Securifor® Super 6 - Welded mesh panel fence that is the highest level of security. 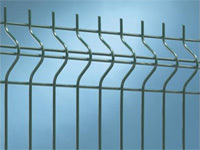 Incorporates 6mm vertical wires to give maximum resistance to attacks.